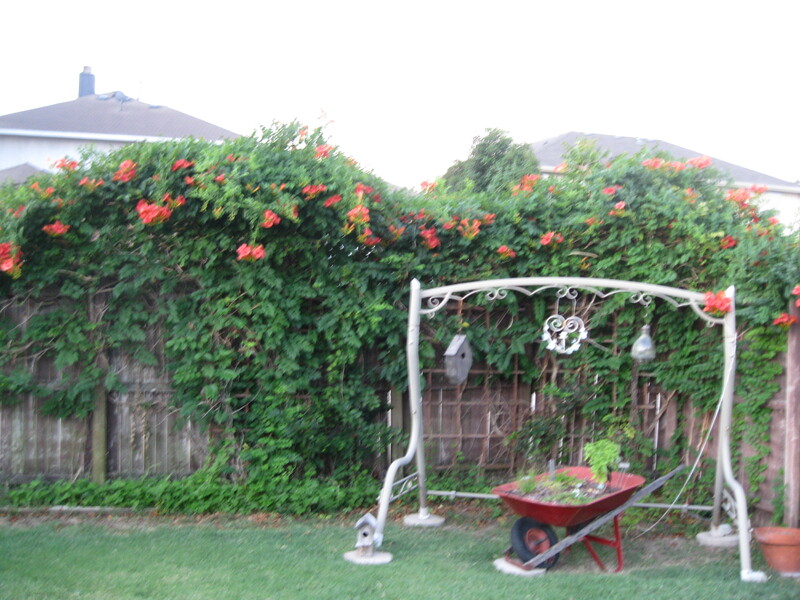 When we moved into this house, my mother said, “What’s that vine thing on the fence? Do you think it’s dead?” To which I replied, “I don’t know. It does look dead. Guess we’ll have to wait and see.” At the time, it just covered one fence post and a foot or so on each side. Now? There’s no telling what all lives in there–I try not to think about it, really–but it does hold up the fence while helping block the view from my neighbor’s driveway into my garden. Isn’t the color fabulous? It was the inspiration for my living room walls. 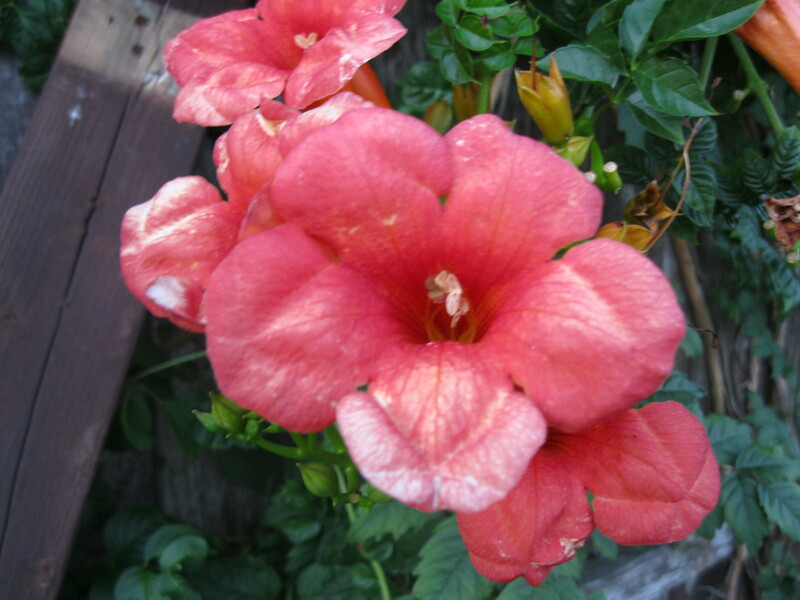 I originally thought of painting the patio this color, but tossed the paint chip on my sofa and thought, “Hey, that looks great…and look, it goes with…and with…” So now my living room is trumpet vine-colored. 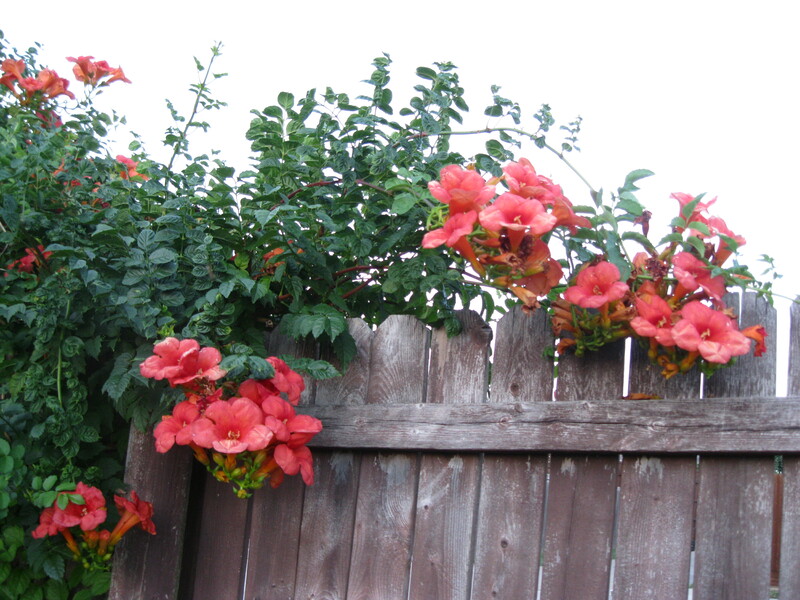 It’s a pain, in some ways–it wants to take over the fence, the yard, the alley, the neighbors’ yards, the world–but the sight of all those happy blooms makes up for it. So, trumpet away, happy vine, at least until our next date with the clippers. 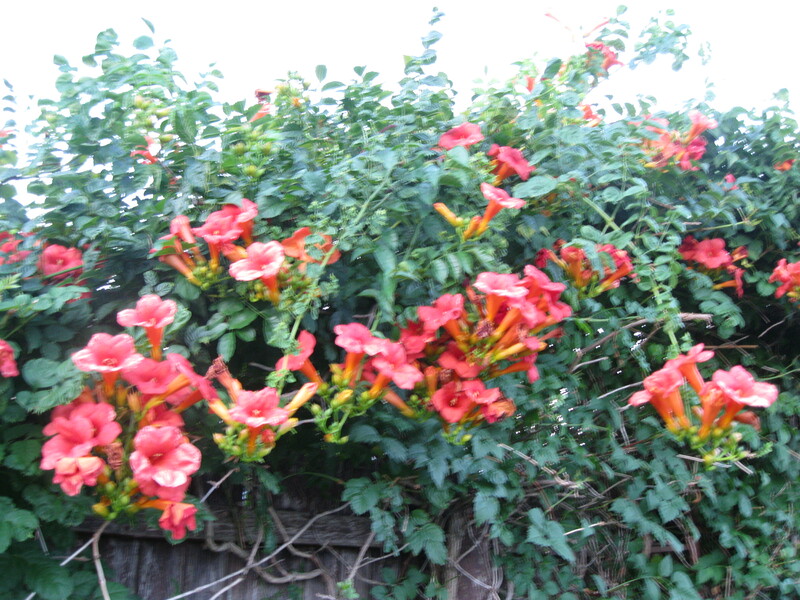 Trumpet vines are some of my favorites. And you’re right, there is NO stopping them!…Wish I was like that!…They make a very drab place into an explosion of bright and beautiful. And you do virtually nothing! That’s my kind of garden! The red is definitely more common but now you can also occasionally find them in yellow! They’re stunning too!